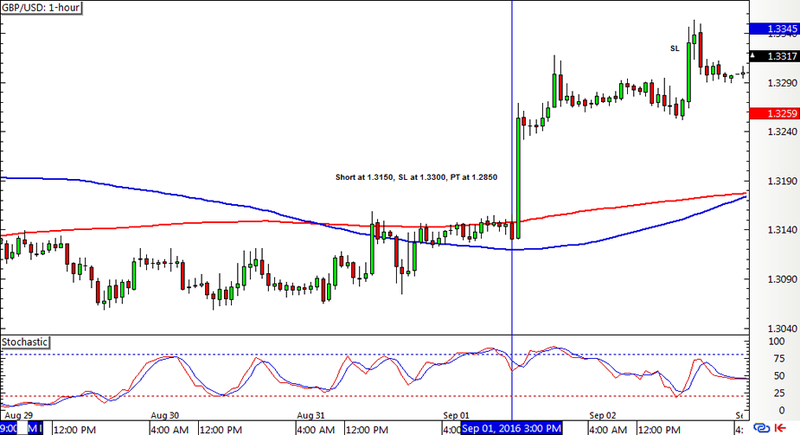 The SMA Crossover Pullback forex mechanical system had a bunch of new positions opened, some of which are already locking in gains along the way. If you’re wondering what I’m talking about, make sure you look at the trading rules and risk management adjustments first. 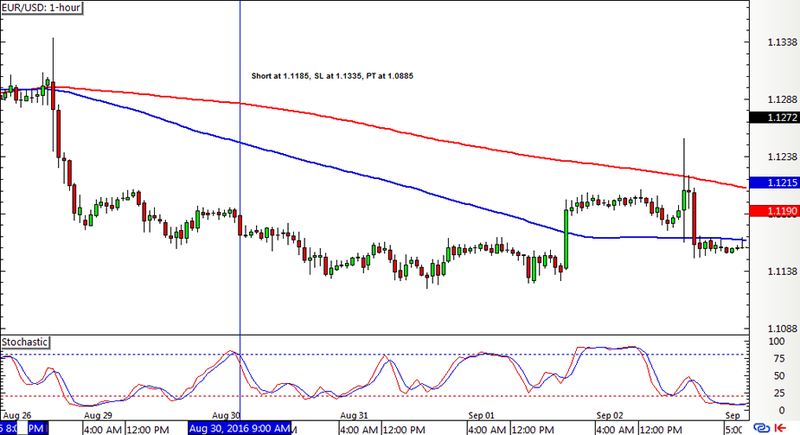 In my update last week, Cable hit its trailing stop from its long position before a downward crossover formed. This was then followed by a stochastic pullback signal to short at 1.3150 but, unfortunately, this position was quickly stopped out by Friday. 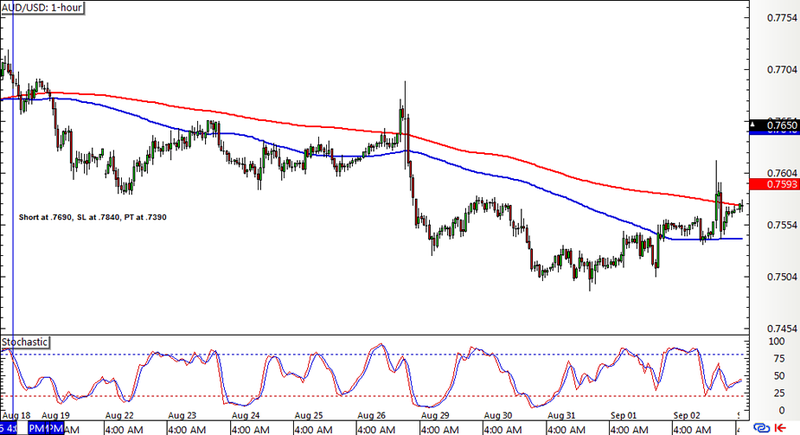 EUR/USD generated a stochastic pullback signal after its downward crossover the other week. So far so good but I’m a tad worried about its reaction to the ECB statement. AUD/USD’s short position is still open and gaining further bearish momentum, with the trailing stop currently at .7640, locking in at least 50 pips on this trade. Lastly, EUR/JPY finally made a stochastic pullback signal to go long and it has been on a climb strong enough to have the trailing stop activated. 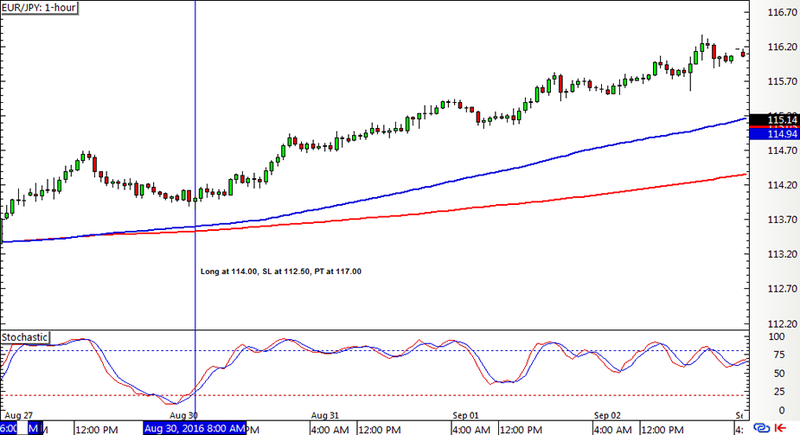 It’s currently at 114.90 so that locks in at least 90 pips on this position. While the SMA Crossover Pullback system ended up with a 150-pip loss or a 1.00% dent on the account, the remaining positions look promising as EUR/JPY and AUD/USD have the trailing stops in place. I’m keeping my robot fingers crossed that these will be enough to make up for this recent loss. The central bank events probably did a number on these open positions but it looks like forex market volatility is just getting warmed up for the last stretch of the year. Think Q3 will end strong for this system? Stay tuned for my updates! Here are some books if you want to get deeper into building systems & algorithms. BabyPips.com receives a small credit from any purchases through the Amazon links above to help support the free content and features of our site…enjoy!